CarGurus has 40,369 nationwide Traverse listings starting at $2,500. Based on the ubiquitous Lambda platform, the 2010 Chevrolet Traverse is GM’s latest addition to the CUV market. This four-door midsize crossover is available in four trims, the base LS, LT1, LT2, and top-shelf LTZ. All trims are available in either front-wheel-drive (FWD) or full-time all-wheel-drive (AWD) versions, with the LS and LT1 seating eight passengers in three rows; the LT2 and LTZ feature standard second-row Captain’s chairs, thus seating seven. Cargo capacity is an impressive 116 cubic feet with the rear seats folded down. As with each of its Lambda-based brethren, the 2010 Traverse packs a 3.6-liter, direct-injection, variable-valve-timed (VVT) V6 engine and six-speed auto-manual transmission with descent control. This combo puts out 281 hp and 266 lb-ft of torque in the LS and the two LT trims, and is capable of 288 hp and 270 lb-ft of torque with the LTZ’s dual-outlet exhaust system. These ponies can haul 5,200 pounds of trailer, to the tune of 17/24 mpg with FWD trims and 16/23 with the AWDs. 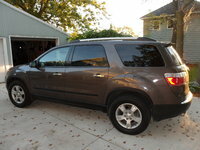 The 2010 Traverse LS comes equipped with such standard appearance, comfort, and convenience features as 17-inch steel wheels, roof rails, cloth front bucket seats, power windows, door locks, and mirrors, telescoping tilt-wheel steering, programmable remote keyless entry, cruise control, air conditioning, a single-CD player with six speakers and Sirius/XM satellite radio, and OnStar communications and navigation technology. The LT1 adds 18-inch machined aluminum wheels, a rear spoiler, a leather-wrapped steering wheel, a power-adjustable driver’s seat, and Bluetooth hands-free communications technology. The LT2 features a power liftgate, heated outside mirrors, second-row captain’s chairs, tri-zone climate control, and a USB connection, standard, while the LTZ trim level offers 20-inch polished aluminum wheels, mirror-integrated turn signals, driver’s memory settings for seat and exterior mirrors, remote start, a universal garage door opener, and 10 premium Bose speakers, including a subwoofer. Options for the lower trims include many of the LT2 and LTZ standard features, including rear parking sensors and a towing-prep package. For the higher-end trims, rear parking sensors, a rear-view camera system, a power moonroof, rear-seat DVD entertainment, upgraded exterior paint and color choices, and a DVD navigation system are also available. Safety features standard with the 2010 Chevy Traverse include four-wheel disc ABS, traction and stability control, dual front side-mounted airbags, front and rear head curtain airbags, remote anti-theft alarm system, and the OnStar post-collision safety system. Additionally, there are various trim-specific safety features that include front fog/driving lights, daytime running lights, parking sensors, and the rear-view camera system. Owners of the 2009 Chevy Traverse mention a haphazard control layout and uncomfortable headrests as problematic, but praise its comfortable ride, decent acceleration, and spiffy styling. Tepid gas mileage and cramped legroom are also issues for some owners, but such individual features as the Traverse’s OnStar system, premium speakers, blind-spot-eliminating mirrors, available heated seats, and the relaxing second-row captain’s chairs draw accolades. 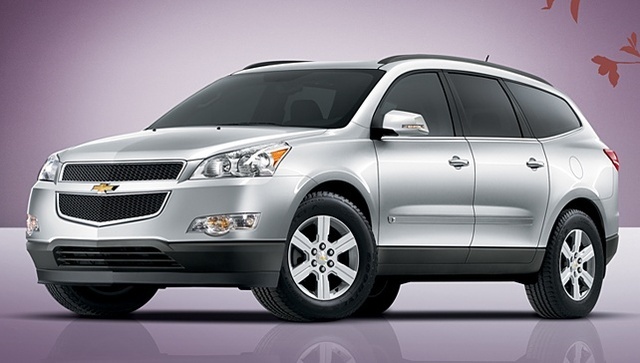 What's your take on the 2010 Chevrolet Traverse? 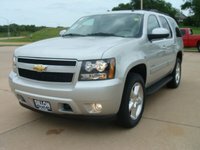 Have you driven a 2010 Chevrolet Traverse? 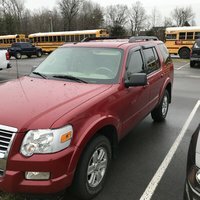 Was driving down the road and my Chevy traverse shut itself off and now won’t start. When you turn the key all the lights come on but it won’t turn over.